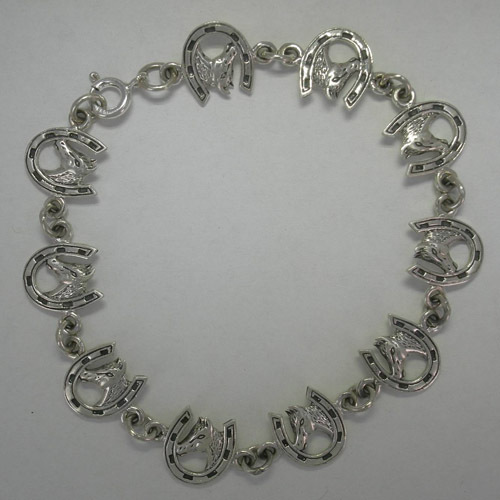 Desc: Sterling Silver horse head in horseshoe link bracelet. Each link is fashioned to resemble a horse head inside a horseshoe. The clasp is a spring ring clasp. The bracelet has a bright polish finish.